Mark Gill and Avi Lerner. Millennium Films into the new Miramax? Find out in these articles I wrote for Variety. Read my profile of MGA Entertainment founder and CEO Isaac Larian marking the 10th anniversary of the Bratz dolls in 2010 in which he discusses his battle with toy giant Mattel (makers of Barbie), which he felt was bent on destroying him. 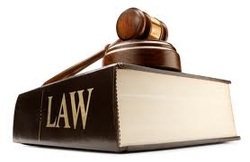 Larian was vindicated in August 2011 when a judge ordered Mattel to pay MGA $310 million in damages, legal fees, etc. He's a fascinating immigrant success story and seemingly much more honest and open than virtually any Hollywood heavyweight I've interviewed. Has the blockbuster success of "The Expendables" lifted its prolific producer, Nu Image/Millennium Films co-chairman Avi Lerner, out of B-movie purgatory? Does the alternately combative and cool Israeli native give a damn? I get the lowdown from the film's writer/director/star Sylvester Stallone, director Richard Donner ("Lethal Weapon," "Superman") and Lerner himself. 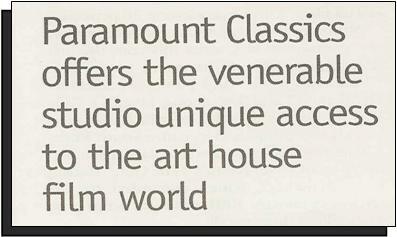 Click here to read the article in The Hollywood Reporter. Harry Sloan (left) and Jeff Sagansky. 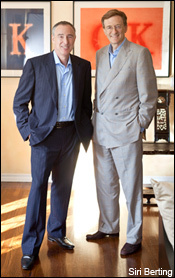 I profile former CBS, Sony and Paxson Communications exec Jeff Sagansky and his partners Harry Sloan and Jean-Luc De Fanti for Variety's Dealmakers Impact Report 2011. Greg Walter of 3 Arts and Alex Goldstone of Anonymous Content. In The Hollywood Reporter's Next Gen 2010, I profile nine of the 35 hottest execs 35 and under -- Chloe Dan, Michael Disco, Mike Farah, Alex Goldstone, Kelly Luegenbiehl, Tendo Nagenda, Geg Walter and Mark Wetzstein. In June 2011, I profiled nine of the "best and the brightest" (Ken Basin, Joshua Binder, Nancy Bruington, Kenneth Deutsch, Nick Gladden, Suann MacIsaac, Jennifer Massey, Patricia Millett and Jonathan West) in Variety's Hollywood Law: Up Next issue. 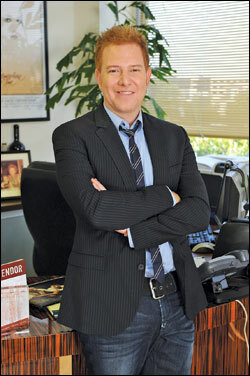 My 2011 Q&A with writer-producer/WGA president John Wells ("E.R.," "The Company Men," etc.) is only available online to Hollywood Reporter subscribers, but you can read the entirety of my more in-depth 2010 feature with Wells exploring the fallout of the contentious 2007-2008 WGA strike here and find out what happened to the guy who dreamed up St. Elmo's Fire while you're at it. The Feb. 11 headline in the Hawaii Reporter called it "Shock and Awe." The day before, former President Clinton had submitted a letter endorsing a plan by Relativity Media and partner Shangri-La Industries (founded by Steve Bing) to build what he called "the most environmentally friendly stages in existence" on Maui and Oahu, if the Hawaii Legislature would support a pair of bills boosting the state's film and TV production tax credits to 35% (from 15%) on Oahu and 40% (from 20%) on the neighboring islands. Three days later, following hours of testimony before a state Senate committee debating the issue, Relativity chief Ryan Kavanaugh poured on the glitter with a star-studded, invitation-only reception at Mandalay Restaurant in downtown Honolulu reportedly attended by more than 100 state legislators and such celebs as Bradley Cooper, Adrien Brody, Zach Braff and Roseanne Barr. Click here to read the entire article from Variety. "Unless people worked here or they were attending a performance at the Music Center, they just never bothered to come downtown," says Carol E. Schatz, president and CEO of the Central City Association of Los Angeles, an advocacy group for local businesses. But Lee Zeidman remembers the pre-Staples landscape vividly. "We used to look down on the site from the 27th floor of the TCW building, just as we were starting to dig the hole and condemn some of the buildings," recalls Zeidman, who serves as senior vp and GM of Staples Center and the adjacent Nokia Theatre and L.A. Live for co-owner and operator AEG. "There were dilapidated buildings in various states of decay, different types of liquor stores on the corners. They were basically drug and prostitute hangouts." Click here to read the entire special report from The Hollywood Reporter, which includes an Q&A with AEG president & CEO Tim Leiweke. 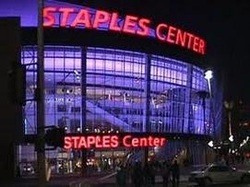 You can also jump to my pieces on the Staples Center's face-lift and its charitable foundation. 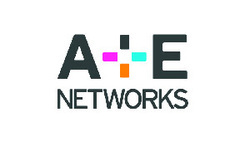 When Alpha Repertory Television Services merged with the Entertainment Channel to launch Arts & Entertainment (A&E) in 1984, it was anything but a high- flying corporate juggernaut. "We were one floor of a building, all within earshot of each other, and we used a small studio on the other side of town," recalls Abbe Raven, who was an assistant to the head of production at the time. "It was very entrepreneurial and it felt very much like we were breaking new ground in the business. On a given day, you could be working on new shows and at the same time doing presentations for affiliates or advertisers." Twenty-five years later, Raven has risen from assistant to CEO, and the company--a joint venture of the Hearst Corp., Disney-ABC Television Group and NBC Universal now known as A&E Television Networks (AETN)--is a global media behemoth with 38 channels in 140 countries around the world, reaching 240 million TV households, and providing a wealth of original programming, from edgy reality shows such as History's "Ice Road Truckers," A&E's "Paranormal State" and "Dog the Bounty Hunter" to the scripted hourlong dramas "The Cleaner" and "The Beast." It also markets a multitude of consumer products, such as books and DVDs. But Raven hasn't allowed that to get between her and the people who watch her shows. Every morning on her train ride to the company's Manhattan offices, she conducts informal market research sessions with her fellow passengers. Click here to read the entire article from The Hollywood Reporter. Also check out my 2010 Q&A with director/DGA president Taylor Hackford from The Hollywood Reporter, in which he discusses the contrasting take-control attitude of his guild, which called a strike only once, in 1987, and it lasted slightly more than three hours in the east and a mere five minutes in the west. Click on the image to read the article from The Hollywood Reporter. Also check out Historical Perspective, Industry Trends and Philanthropy & Going Green.